Irrfan Khan has finally returned back to India and is now waiting for the final report from the doctors in order to start his work back. Producer Bhushan Kumar has recently confirmed saying that after receiving go-ahead from his doctors, Irrfan Khan will begin the shoot for Hindi Medium 2. 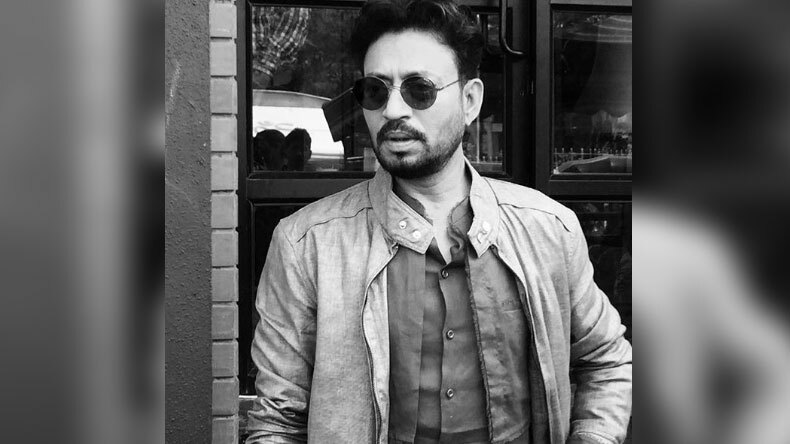 Bollywood star Irrfan Khan who is best known for doing intense and deep roles in the industry was ‌undergoing the treatment for cancer from the past 1 year in London. Recently, the producer Bhushan Kumar quoted that Irrfan Khan is still waiting for the doctors to give a go ahead. Once the final report comes, Irrfan Khan shall begin the shooting for the movie Hindi Medium 2. He also said that for now, the shoot for the movie will not begin from February 22 and the final dates will be declared soon. The producer wants the movie to be done by Irrfan Khan only and also quoted that once Irrfan finalises, the announcement for the shoot will be done soon. As per media reports, one of the close aid revealed that Irrfan Khan is back in India and is currently in Mumbai. Some few months back reports quoted that Irrfan Khan was diagnosed with cancer and neuroendocrine tumour. After some time, the actor took to his official Twitter handle to declare the news to his fans. Now that the actor is cured from the disease and has returned, he is still waiting for the final reports and will soon begin with the work. Bhushan Kumar also shared that Irrfan Khan is superly excited for the film and will create a buzz on the screens soon.